Want to know how solar panels work? How exactly do they gather all that heat and convert it into energy? Let’s find out! 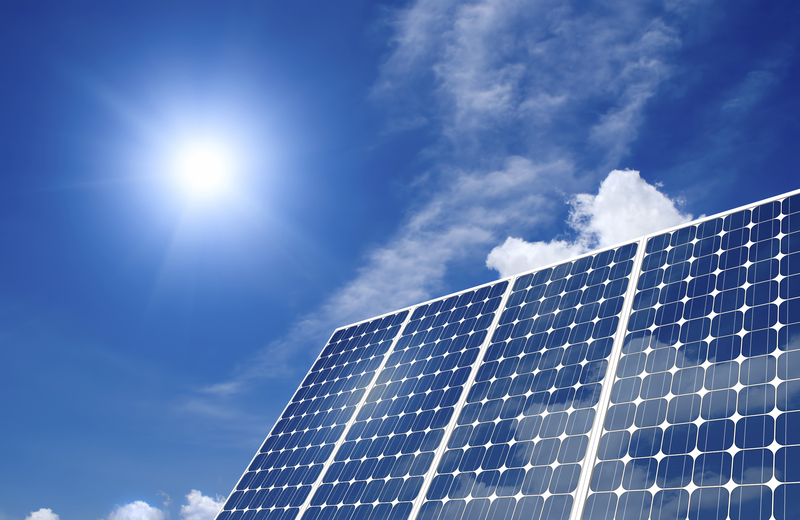 Solar panels are a great way to harness the earth’s natural resources to power our man-made machinery. You can use them to be self-sufficient and start living off-grid. You may have tried a couple of DIY solar panel tutorials and even learned the proper way of installing them, but do you know how they work? It’s always been something I’m curious about so when I found this infographic, I knew it was something I had to share. So scroll on and see how solar panels work with this helpful animated infographic. Thank you SaveOnEnergy for this added knowledge! Silicon is a semi-conductor. It can either conduct electrons or insulate them, depending on the situation. Silicon atoms have four outer electrons that form a stable crystal structure when bonded. Mixing silicon with elements that have a different number of electrons creates an unbalanced structure. Boron has three outer electrons. When mixed with silicon, it creates a hole in the structure. The holes are mobile and carry a positive charge, resulting in P-type silicon. Phosphorus has 5 outer electrons. Silicon bonds tightly to 4 of those electrons, leaving the fifth to roam free. The free electrons carry a negative charge, creating N-type silicon. When P-type and N-type silicon are layered together, some of the electrons and holes come together, forming an electric field. The electric field repels the free holes and electrons and keep them from moving between layers. The energy from sunlight disrupts the bonds in both P-type and N-type silicon, creating free-roaming electrons and holes in both layers. Free electrons and holes zapped loose by sunlight are forced back into their proper later. If you connect both layers with a circuit, attractive force will drive the excess electrons and holes together, creating an electric current. Solar cells generate direct current (DC), but most appliances run on alternating current (AC). DC runs from the solar cells through an inverter for use in homes. Wasn’t that amazing? What do you think about the process on how solar panels work? Let us know below in the comments! I’m just glad they do work. I have 44 PV panels and one solar thermal panel on my roof for my hot water. Solar power rocks!